When you have a knee injury, you need the help of a knee pain doctor, Mesa AZ residents rely on. There are a few things that have managed to make it into “everyday thinking” despite the fact that it is more dogma than reality. Knee injuries are one of these things. If you injure your knee and tear something, whether one of the supporting ligaments or one of the two meniscus (or is it menisci?? 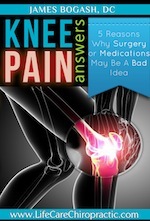 ), you’re going to have to have surgery, as a knee pain doctor in Mesa, Arizona can explain. The problem with evaluating whether or not surgery for a particular condition works is that we just don’t do placebo surgeries—it’s an ethical problem. Kind of like a placebo-controlled trial on whether parachutes are safer while skydiving. We just don’t do placebo surgeries. Or at least we didn’t until 2002 when the Houston VA medical center decided to do a placebo-controlled surgical trial of patients with knee pain who went under the knife for “debridement,” or a clean-out to get rid of damaged tissue hanging around in the knee joint. Turns out there was no difference between those who had the full surgery and those who had the placebo surgery, as a knee pain doctor in Mesa, AZ can explain. Truly ground shaking outcomes considering that this type of procedure is done some 800,000 times per year in the US alone. But I really don’t think that many surgeons truly changed based on the evidence of this study over a decade ago. From an insurance standpoint, it was pretty easy for the surgeon to just say he was going in to fix a meniscal tear. And this sounded like a good idea because the back part of the medial meniscus (posterior horn) is commonly torn and it does not have a very good blood supply so healing just isn’t going to happen without surgical intervention to go in and remove the torn meniscus. There are a couple of problems with this thinking. The first problem is a biggie and has to do with how we determine whether or not there is any damage to the knee using MRI, knee pain doctor in Mesa, AZ knows. Many people mistakenly believe that MRI is an exact science and that, if something is “found” on MRI, it’s the thing that is causing the problem. Study and after has concluded that there is very little correlation to what is found on MRI and a patient’s symptoms. That’s not to say that that torn medial meniscus on your MRI is not causing you pain, it’s just that we can’t know for sure. And I can tell you, from treating hundreds of knees over the years, that a huge chunk of knee pain comes from the soft tissues surrounding the knees (muscles, ligaments, fascia) and not from what is going on inside the knee. Fix these tissues and the knee pain goes away, regardless of whether or not the meniscus is affected by the treatment. But very few knee pain patients manage to find their way into physician’s offices that are truly competent with addressing these tissues. Part of this may be because they aren’t aware that these types of treatments even exist—It’s the surgeon’s office to MRI to physical therapy and back to the surgeon to schedule the procedure. Kind of circular. The second problem has to do with this particular study. In it, researchers looked to answer the question about whether surgery to repair a degenerative meniscus tear (as opposed to one that happens from trauma) actually does squat. Specifically, they were interested in whether self-reported locking or catching would be improved by partial meniscectomy (since it is increasingly well-established that doing the surgery for pain alone is not beneficial). Thirty-two patients (46%) in the true surgery group reported catching or locking before surgery; after surgery that number was 49%. Of the fake surgery group, 37 (49%) reported catching or locking before surgery; after “surgery” the number was 43%. In other words, some $50,000 later, risk of injection and time off and pain for rehab, there was pretty much no difference between the groups. Studies like these and the other ones mentioned in this article are blowing open the doors of the dogma that surrounds knees injuries, findings on MRIs, and the value of arthroscopic surgery. This is not to say that there is not value to the surgical options, but you better damn well be sure you see someone who truly understands how to assess and treat the soft tissues surrounding the knee before you go under the knife. Sports injuries can happen quickly and unexpectedly. Depending upon the severity of the injury, an athlete or weekend warrior may be out for a few games, the season, and sometimes, a career. ACL (anterior cruciate ligament) injuries are common among athletes who engage in high demand sports like football, soccer, and basketball. Cruciate ligaments are located inside the knee joint. They control the back and forth motions of the knee. They cross one another to form an “X” with the ACL in front and the PCL (posterior cruciate ligament) in back. The ACL prevents the shin bone (tibia) from sliding out in front of the thigh bone (femur). It also provides the knee with rotational stability. Grade 1 Sprain. The ligament is only mildly damaged. It may have been slightly stretched, but still functions capably to stabilize the knee joint. Grade 2 Sprain. This injury is often referred to as a partial ligament tear. In this injury, the ligament is stretched to the point where it becomes loose. Partial tears of the ACL are uncommon; most ACL injuries are near complete or complete tears. Grade 3 Sprain. This type of sprain is typically referred to as a complete ligament tear. The injury has split the ligament into two pieces, and the knee joint has become unstable. Treatments for ACL injuries can vary depending upon a patient’s individual needs. Bracing. A knee brace can help to protect the knee from instability. Crutches may be needed to prevent full weight placed on the knee. Physical Therapy. As the inflammation and swelling subside, a rehabilitation program can begin. Specifically targeted exercises can strengthen the muscles that support the knee and restore function to it. Additionally, aquatic therapy, medication, ultrasounds, and injections may provide some healing and relief. Ligament Reconstruction. For the most part, ACL tears can’t be stitched (sutured) back together. The ligament must be surgically reconstructed. A knee doctor will replace the torn ligament with a soft tissue graft. Grafts are frequently taken from other leg tendons or cadaver grafts.This graft acts as a scaffold-like structure for a new ligament to grow upon. The regrowth of the ACL takes time, likely six months or more after surgery, before a patient can return to sports. While surgery is always an option, consult with your knee pain doctor in Mesa, AZ first about other options. Procedure. Surgery to reconstruct an ACL is typically done with an arthroscope. Arthroscopic surgery uses small incisions and is less invasive than a full surgical procedure. Arthroscopic surgery can offer reduced postoperative pain, a shorter hospital stay, and a speedier recovery. In summary, an ACL injury can be one of the most unwanted and unfortunate injuries. That’s why it’s critical to get sports injuries checked out by a knee doctor as soon as possible after they happen. Contact a knee doctor in your local area to schedule an appointment and evaluation. For more information, contact a knee pain doctor in Mesa, AZ at LifeCare Chiropractic today.